Proposal Made To Restore Musselburgh Links "To Former Glory"
Avril Campbell reports that an Edinburgh-based company has approached the East Lothian Council with a £10 million plan to restore Musselburgh's Old Course, six-time Open Championship host and arguably as important as any course in the development of golf. Blue Thistle Ltd, the Courier has learned, has approached council members to discuss “a bold and exciting proposition” which would see the nine-hole, par-34 course “regenerated, restored and recreated to the style and reputation of its former glory”. East Lothian Council says it is “aware of a commercial desire” to “take over” the course. A Blue Thistle Ltd spokesman said it hoped to capture the heritage of the course and “broadcast” it to a global audience. It wants to return the course to its 1896 set-up, with lost features recreated and placed in new positions. One councillor, John Caldwell, is already “vigorously” opposed to the plan. However, given that the course has been in danger from elimination, has been neglected at times and has recently seen plans approved that will alter the historic Mrs. Forman's, the plan should be considered. Most of you know I think this is one of the great places in the game and a model for the kind of intimate community golf we need more of. Oh, and it's an immensely important place in the history of our sport and the golf business. Mrs. Forman’s Demolition Request Is Withdrawn; A House Conversion Next?! The plans to demolish golf's original snack bar and one of its original 19th Hole's have at least been dropped. But that doesn't change the sad possibility of Mrs. Forman's never returning as an eatery and pub serving the golfers of historic Musselburgh. The Scotsman's Chris Hall on the withdrawal and plans to forge ahead in turning the nearly 200-year-old eatery off of Musselburgh's 4th green into a home. This summer I had the privilege of playing a round with hickories at Musselburgh Links, recognized as the oldest course in the world by Guiness. The first documented play was in 1672, though its believed Mary, Queen of Scots whapped something resembling a ball around here in 1567. I chose to focus in on the fourth hole for now because it's a sensational par-4 that incorporates the surrounding racetrack. There is also the hole's ties to Mrs. Forman's restaurant behind the green. Through the hatch in the wall where she sold refreshments to golfers is now a window, the charming restaurant and pub pays homage to its predecessor with numerous wall photos of the old days along with excellent food. And of course, they still serve golfers on the back patio. 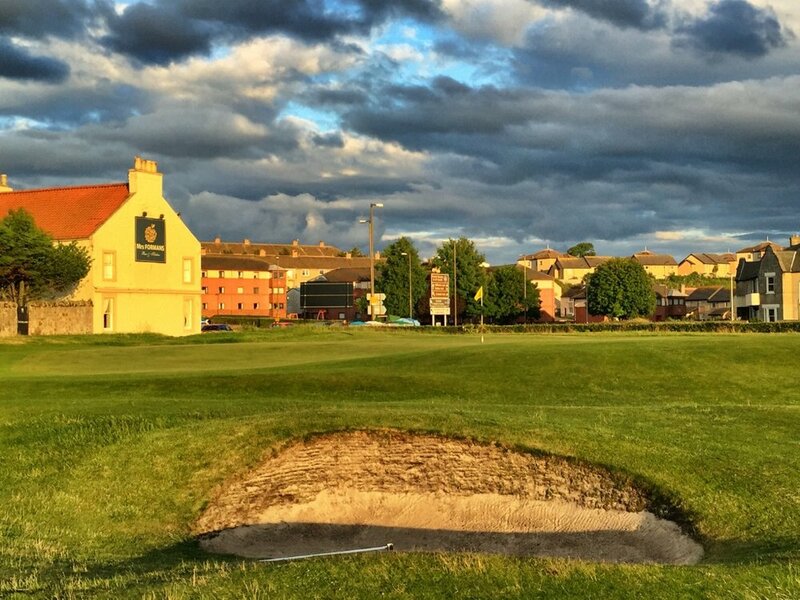 Musselburgh and its race course, to be featured in a separate video and included in a story next July for Golf Digest's Open Championship preview, are must stops for any golfers making the pilgrimmage to East Lothian. The YouTube video, which I recommend watching at the enlarged size for full effect compared to the embedded version below.